Everyone always seems to be in a rush in Kirk Newman’s sculptures. 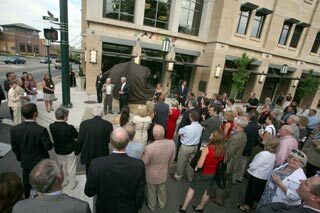 One of his sculptures was unveiled Thursday in front of the Greenleaf Trust Building at Maple and Peabody. 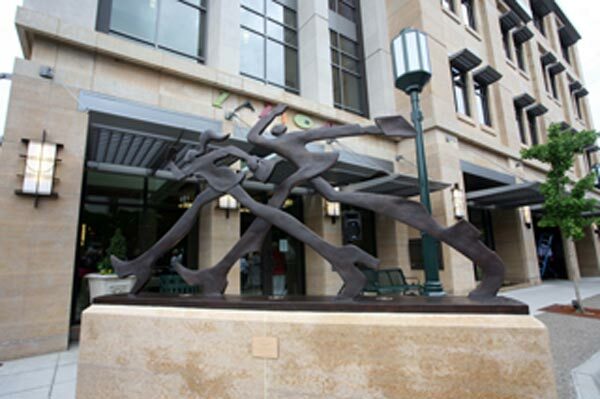 The work is titled LOL, referring to abbreviated text jargon that can mean “lots of love” or “lots of luck,” or even “lots of laughs.” Newman said the double meaning is meant to suggest a mixed message regarding our fast-paced lives. 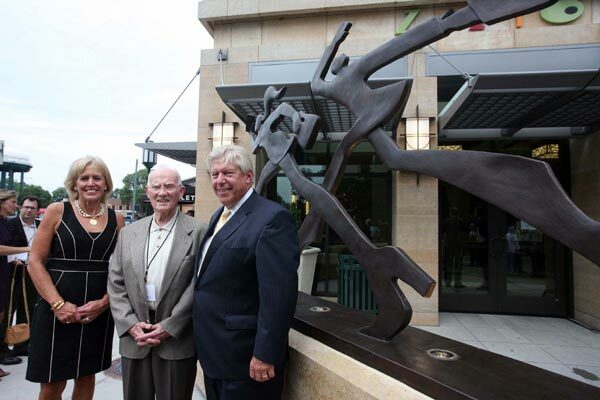 It’s one more sculpture adding to the rich canvas of art located around Birmingham. Thanks to the efforts of the local art community, Birmingham has the works of world-famous artists on temporary or permanent loan throughout the community. 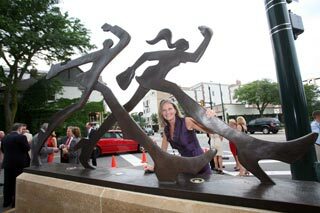 Barbara Heller, a founding member of the city’s Public Arts Board, said there are 17 sculptures on display in Birmingham, with two more on the way. 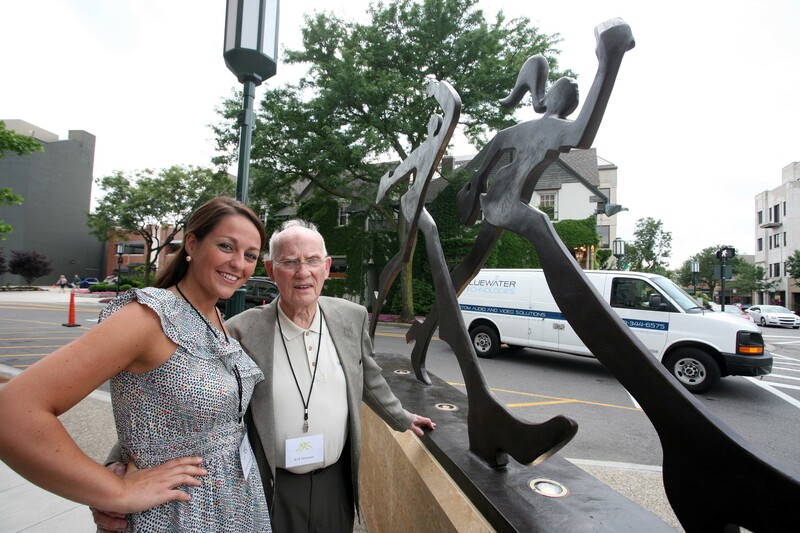 A virtual tour of all the sculptures located around the city can be found at http://bit.ly/ljNnao. Just click on the name of a sculpture or on the map to learn more about each piece of artwork. 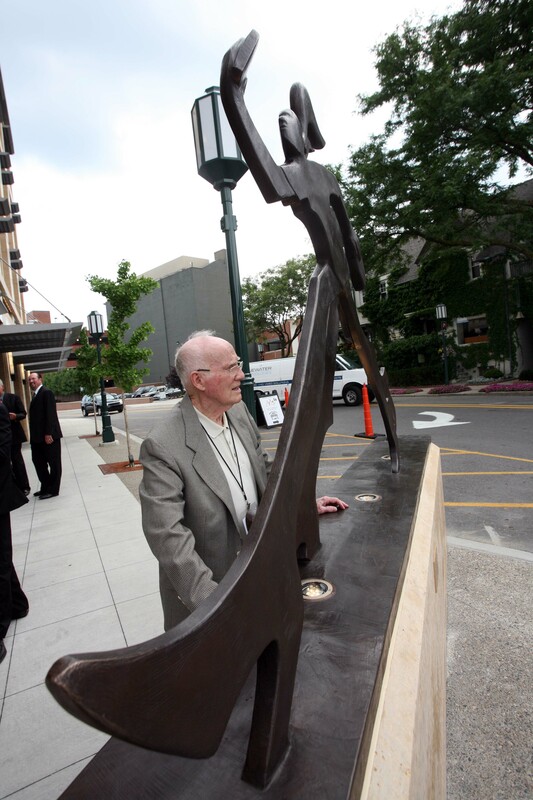 Heller said a piece of public art has the ability to transform an ordinary street setting. “It gives you insight, it provides a landscape, it connects,” she said. 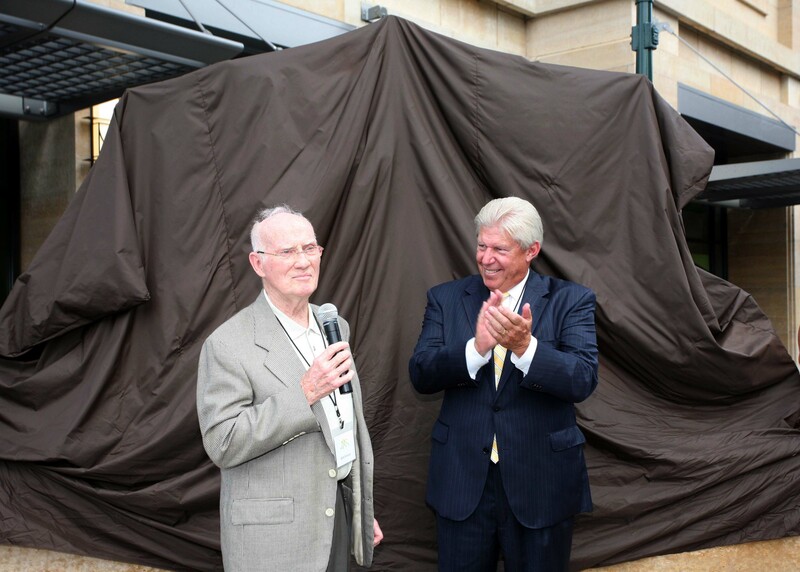 Thursday also marked the first anniversary of the Greenleaf Trust Building. Located at Woodward and Maple, the five-story building has a classic look to it that anchors the corner perfectly.